Visit Croatia during springtime and you won't go wrong. Here are just some of the advantages: nice sunny weather, blooming nature, ideal conditions for climbing, hiking and taking long walks – plus the brave ones might even go for a swim. 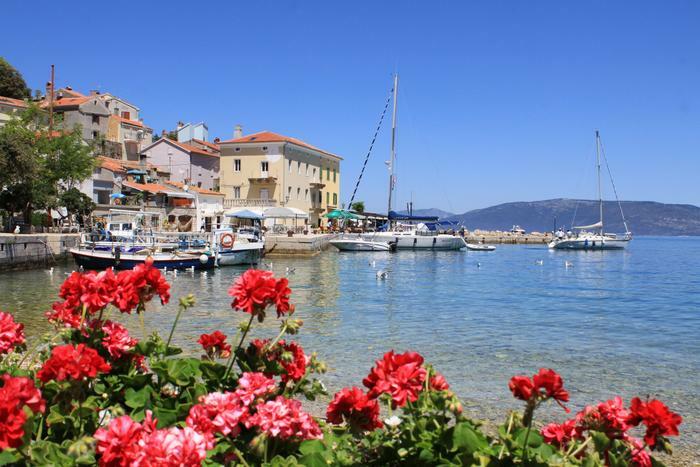 Moreover, there are no summer crowds so you can really enjoy peaceful little towns and villages along the Adriatic. Spring is an ideal period for asparagus hunting and preparation of different dishes enriched with their special punch. This wild vegetable is very popular for its taste and numerous health benefits, but aphrodisiac properties as well. So take a walk in nature and pick your own asparagus for a perfect addition to your dinner menu. Biokovo is not only a protected nature park but also a beautiful mountain rising to a height of 1762 meters above popular Makarska Riviera. In case you're not adventure and sport lover and tend to avoid physically demanding climbs you can always take a car and drive to the very peak of Biokovo Mountain. Once you're there, be sure not to miss botanical garden Kotišina – home of many interesting wild plants – situated at the foothill of Biokovo. Springtime is a prefect period for tasting roasted lamb, with or without spring onions. In the Adriatic part of Croatia, lamb meat is considered to be a real delicacy, and the most renowned is that originating from islands Brač, Pag and Cres. Namely, each of these places is specific for its aromatic herbs and plants animals graze on – eventually producing meat with a distinctive taste no one can resist. Take a day trip to Krka Falls! The most impressive and popular waterfall created by Krka River is called Skradinski buk and it's located close to Šibenik. You can reach it by road, but boat ride starting at picturesque little town Skradin is a much more attractive alternative. Part of Krka National Park, Skradinski buk will amaze you with its wooden walking trails and bridges which guide you over the river and numerous bubbling cascades.